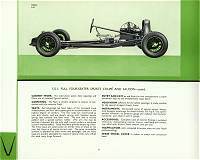 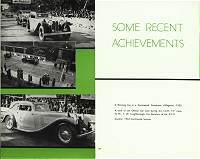 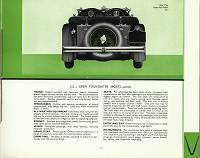 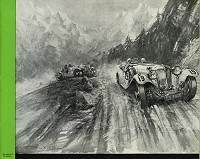 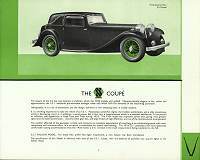 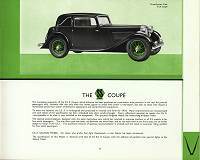 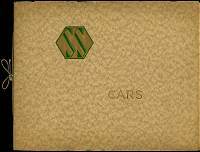 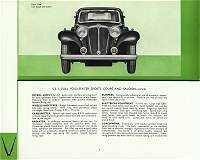 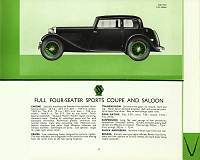 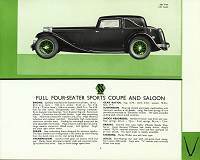 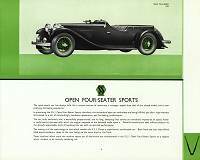 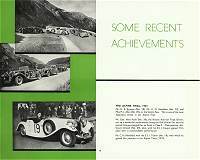 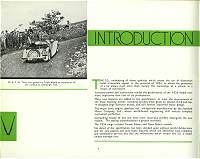 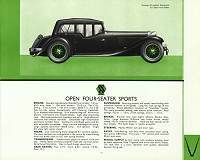 A very scarce SS cars full catalogue for 1934. 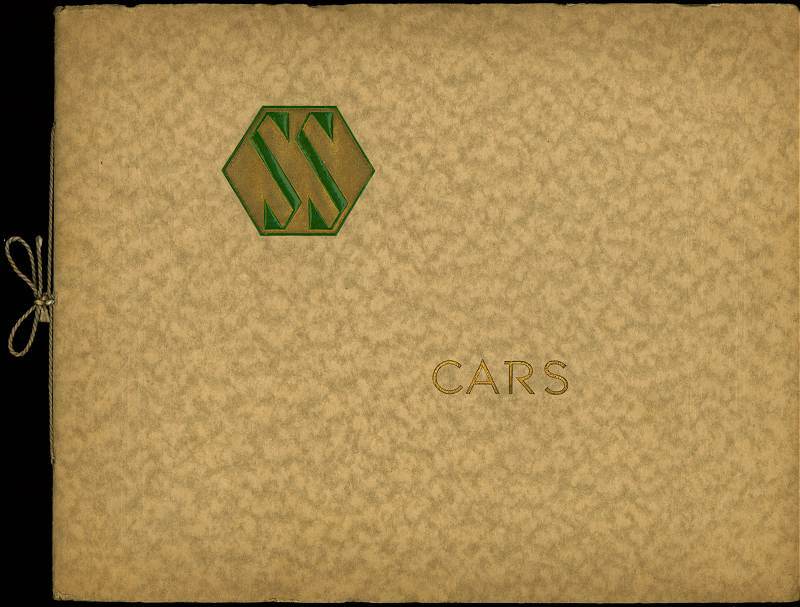 Protected in a oystershell like heavy cover with cord binding and embossed SS logo in green, this is the prestige catalogue that was given out to serious customers that year. 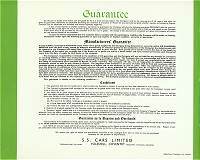 Lesser mortals were given the paper broadsheet version! Inside the main cover (which is oversize), it has a second oystershell plain cover (same size as the brochure itself) protecting the main 24 page brochure which starts with a Gordon Crosby illustration. 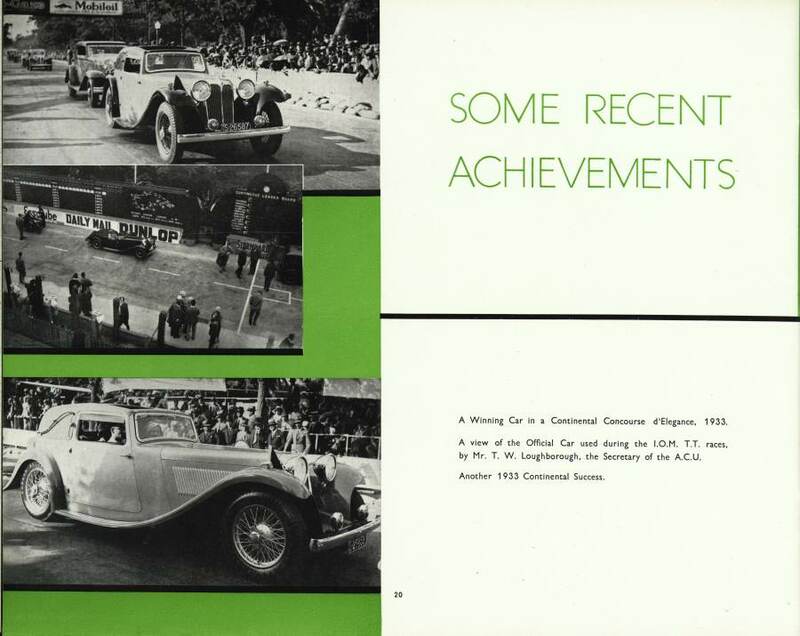 Not easily visible in the scan are the embossed vertical lines to the left and right of the cover and the year '1934' embossed at the lower right. 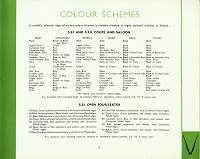 This catalogue is sometimes seen without its covers where they have been removed due to damage. 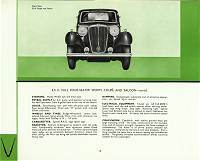 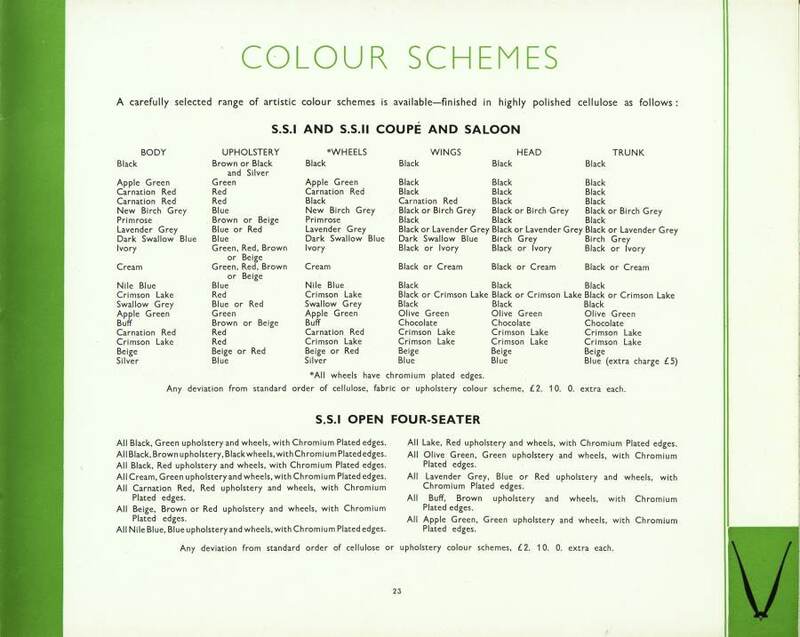 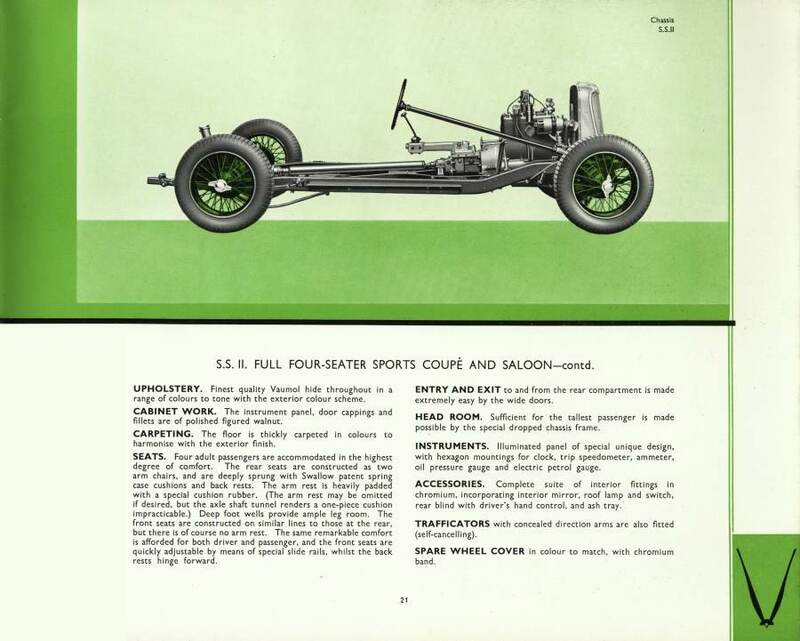 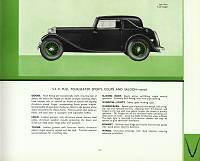 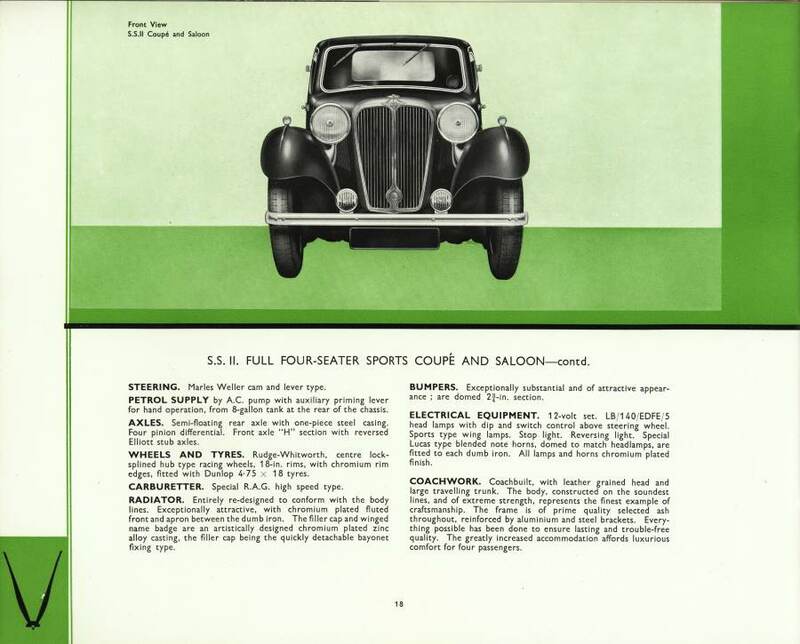 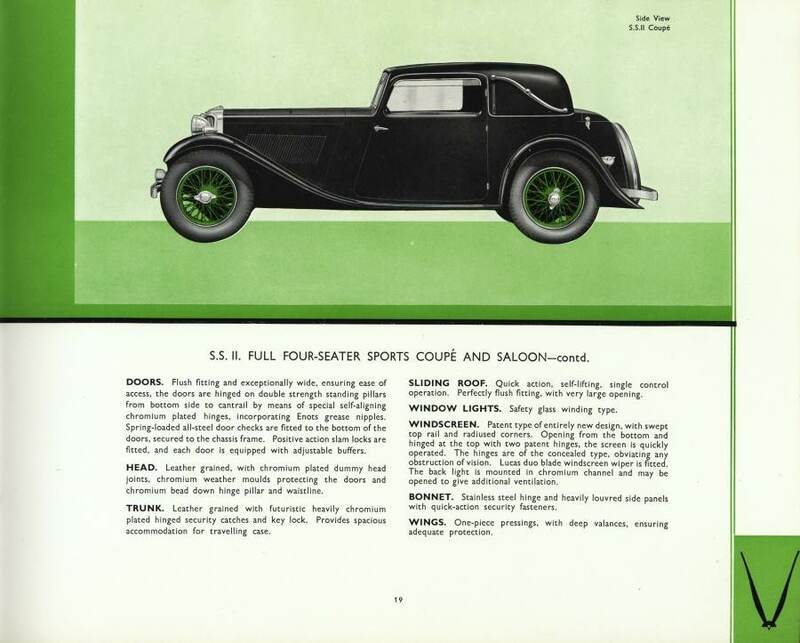 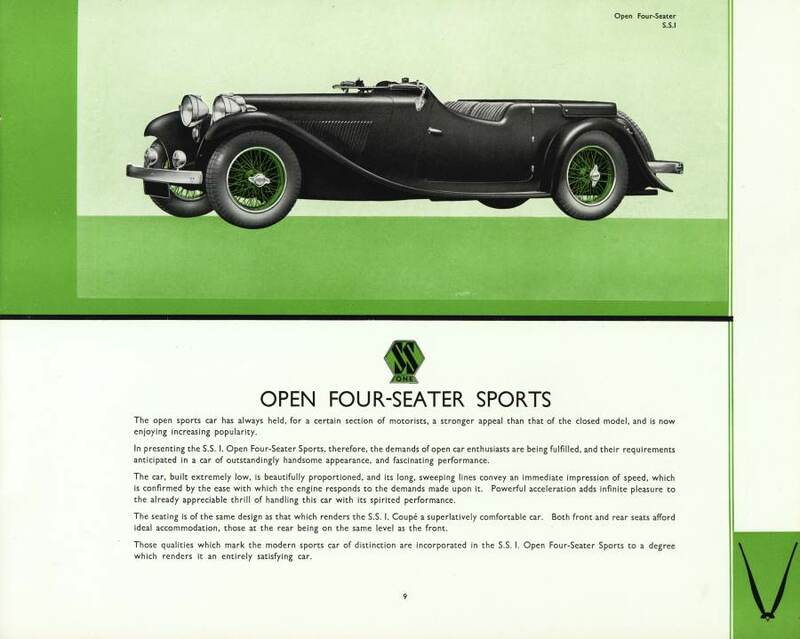 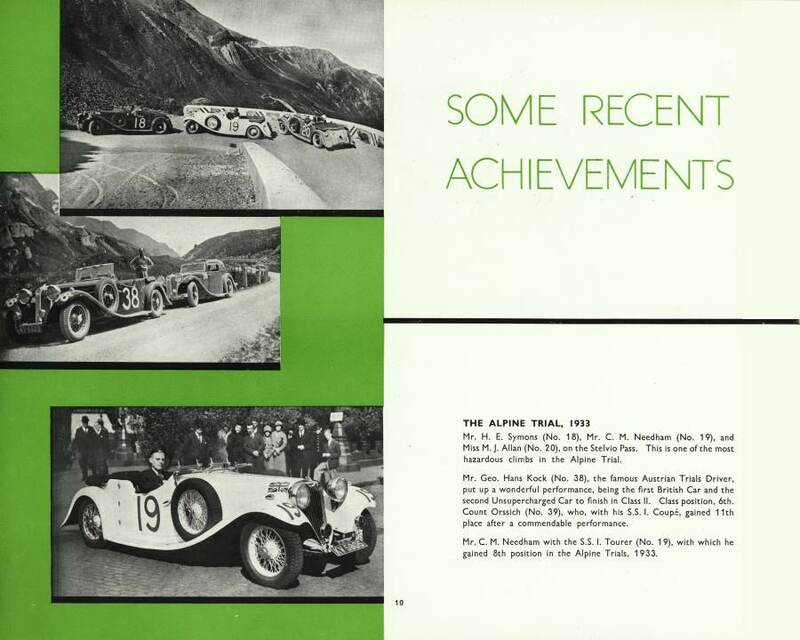 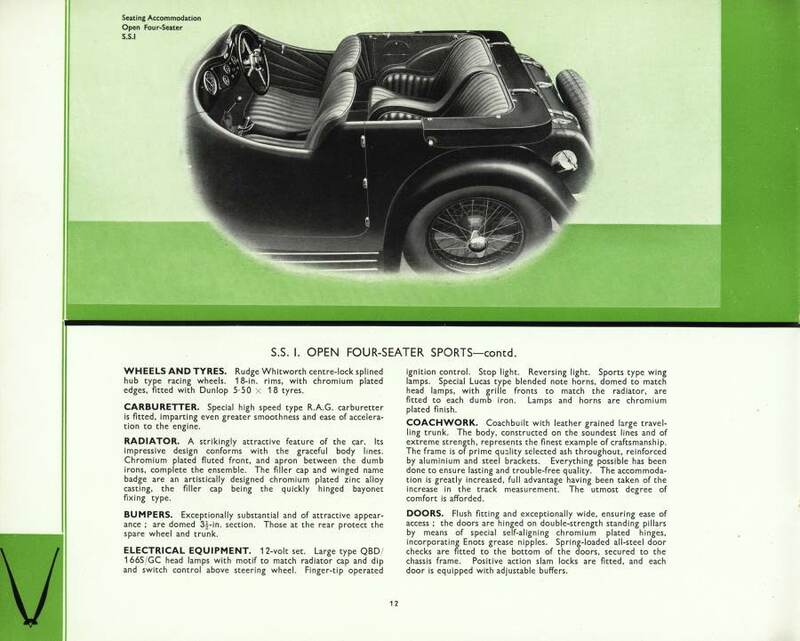 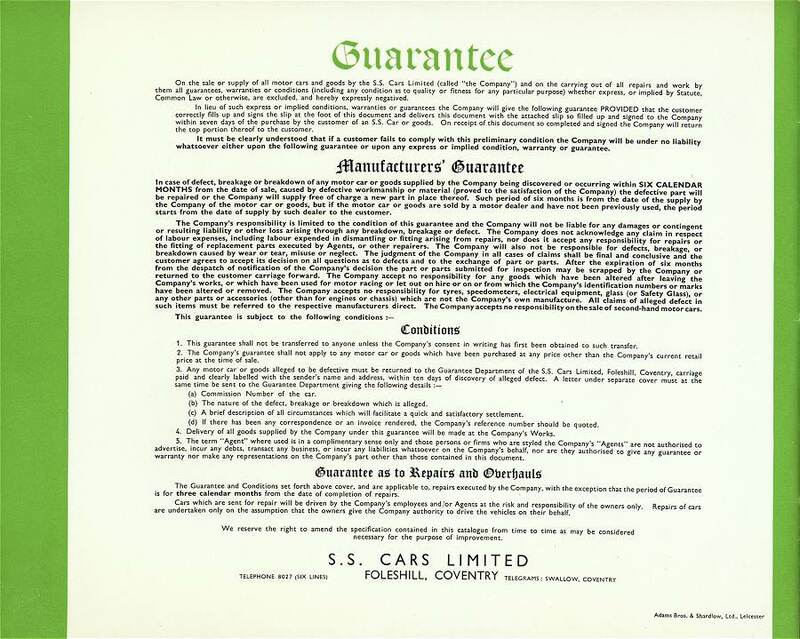 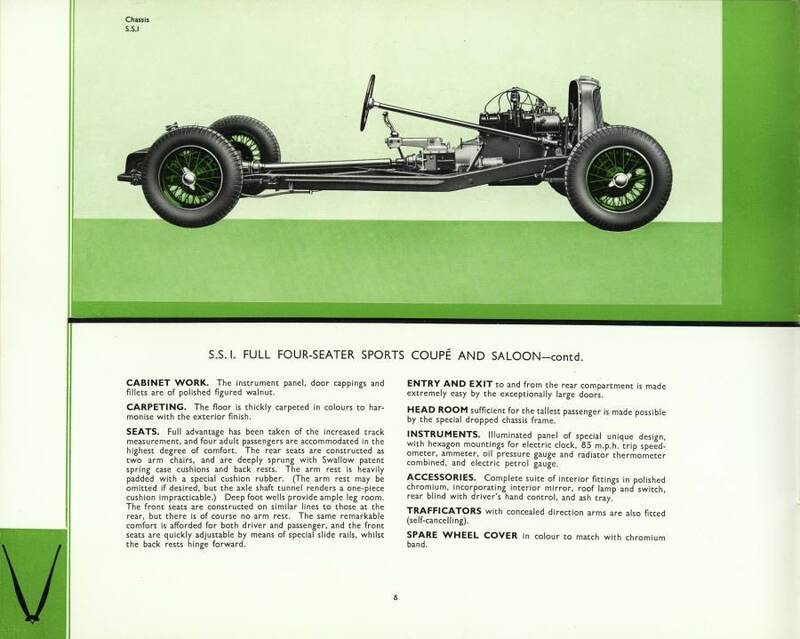 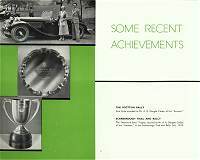 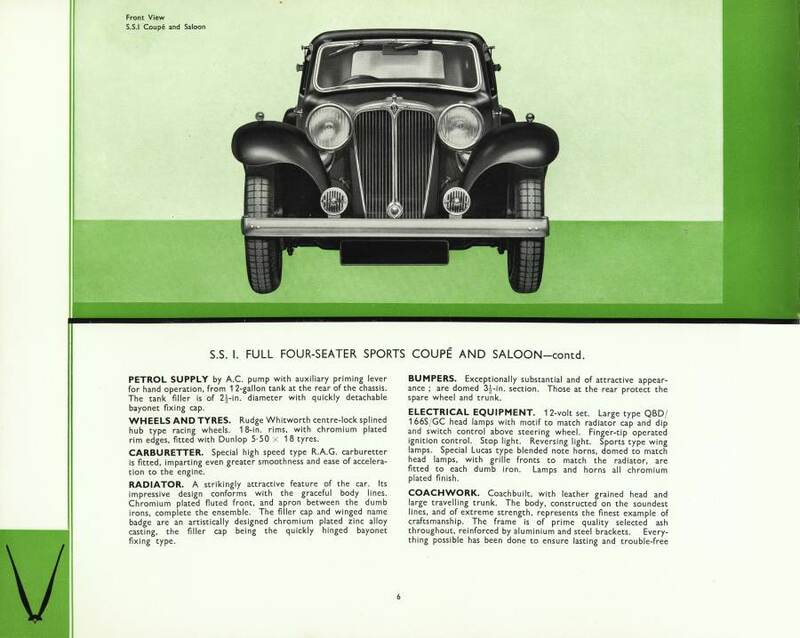 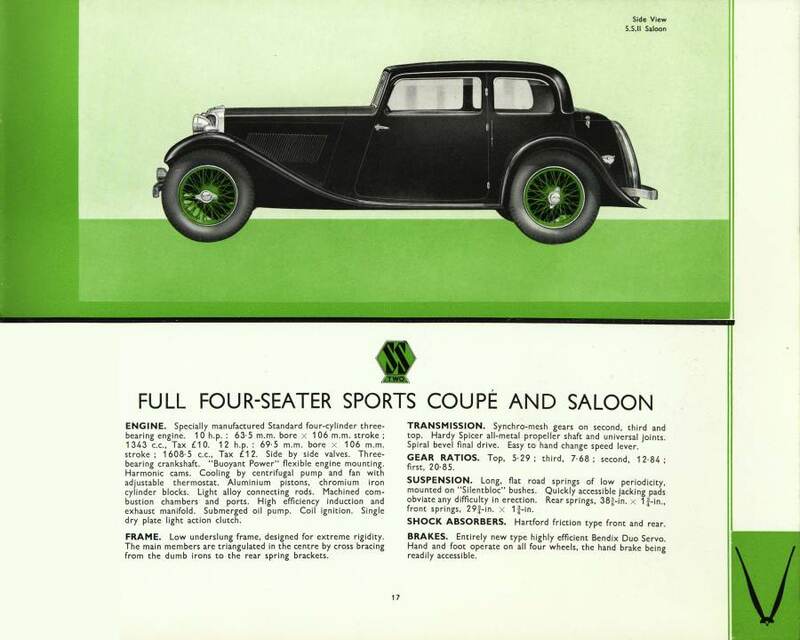 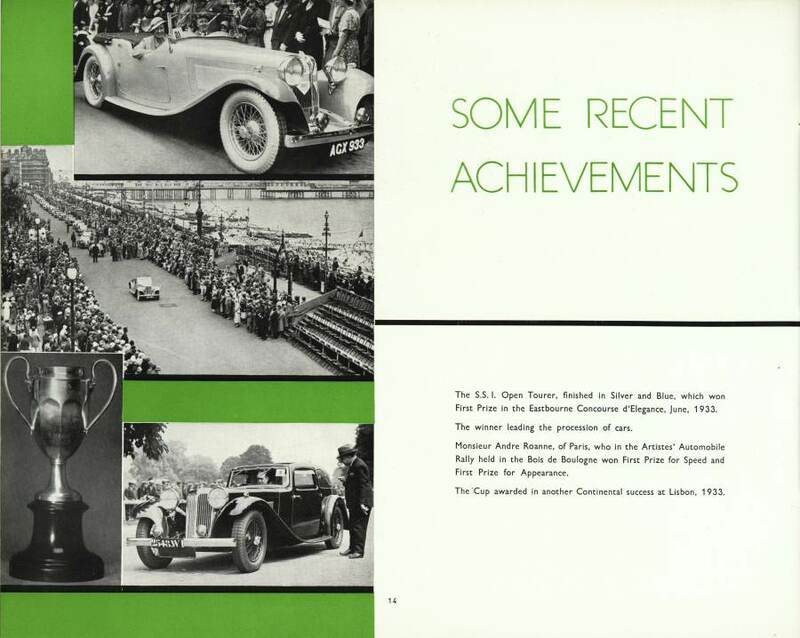 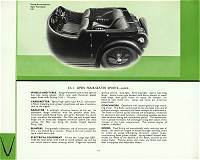 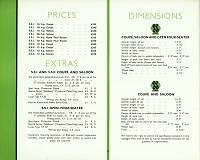 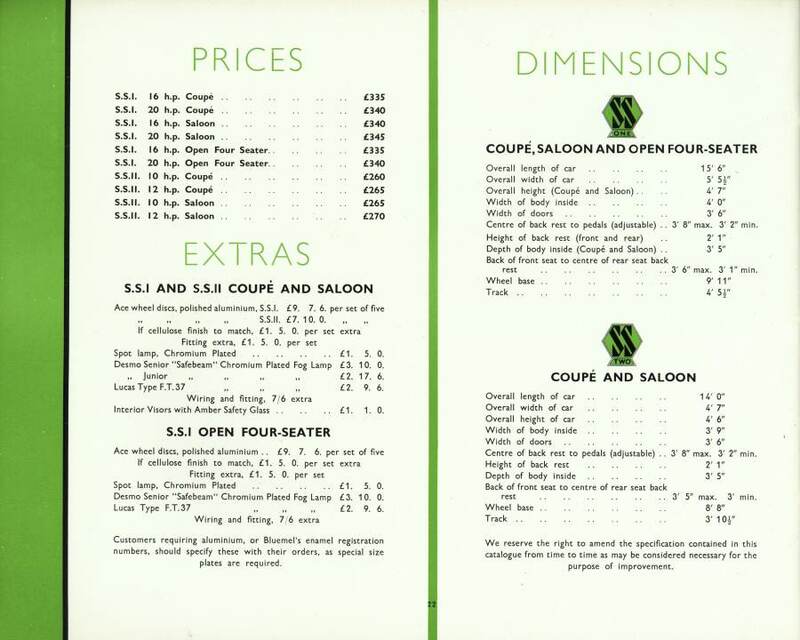 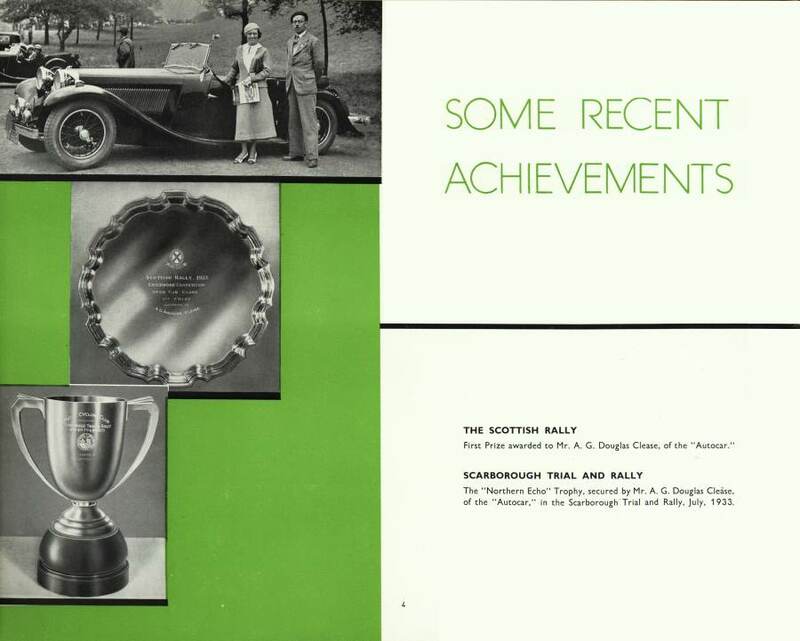 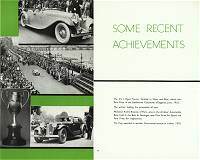 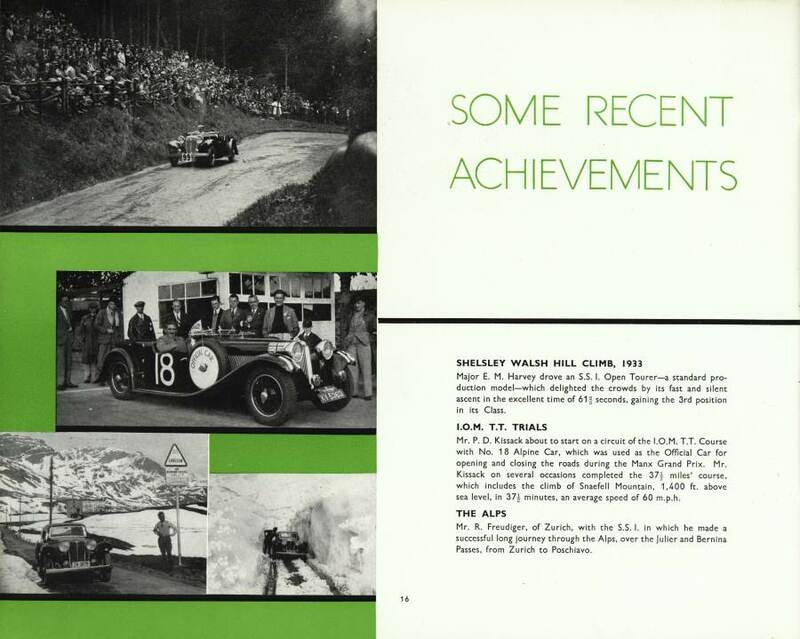 There were two versions of this catalogue during its life - both virtually identical except that one was produced by S.S. Cars Ltd, the other by Swallow Coachbuilding Ltd - the different addresses appear on the last printed page of the catalogue.